Flower in her favorite place. 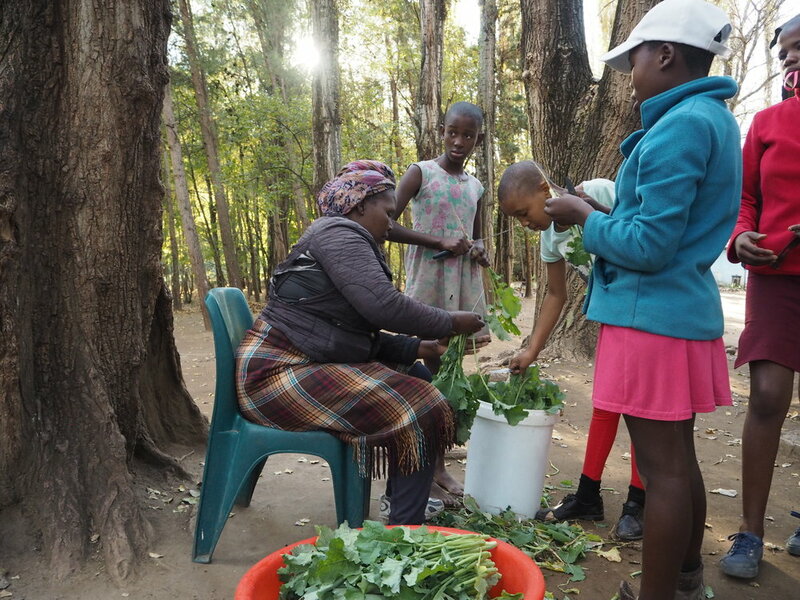 Housemother 'Me Alina and the older girls prepare spinach from the garden. “Flower” arrived at PCC while our family was away in America. She is reserved and gentle, yet always playing with the other children from preschool. Flower came to us from a nearby village, where she was living with her grandfather, who became too sick to care for her. At the request of community leaders, our PCC managers looked into the situation and determined that Flower could come to live at PCC. With the security of hot meals, a warm bed, and caring adults, she is flourishing. In fact, all areas of PCC are flourishing. After 4 months without us here as Directors, it is evident that our team of local managers excelled at running PCC. They accepted new children into residence, and helped some of our 18-year olds transition out. They made wise decisions with the children’s education. Many of our teenage girls are now attending a boarding high school in the nearby town of Mt Moorosi. The staff provide tutoring for those that are struggling with their classes. And they submitted applications for other children who want to attend vocational school beginning in August. It’s a lot to keep tabs on, but the PCC Management team does it well! A look around PCC also tells of good management. 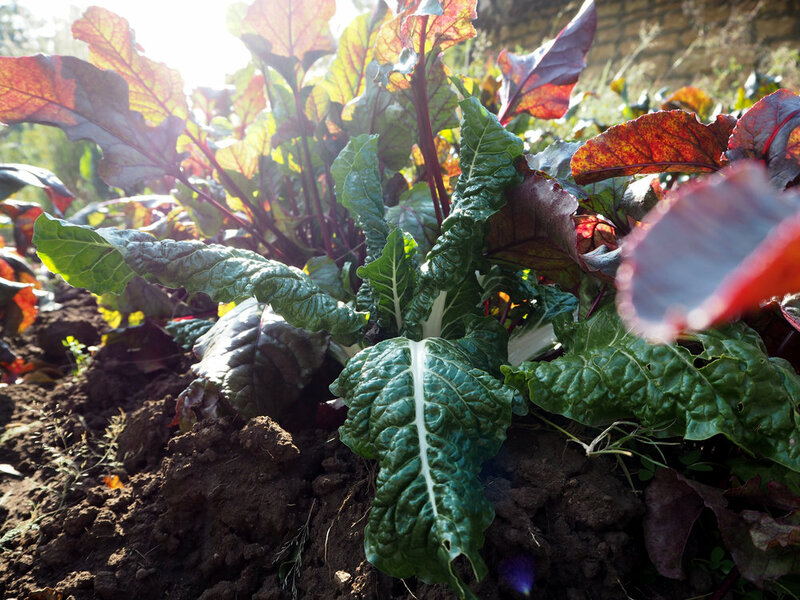 Healthy vegetable gardens stand ready to supplement meals with spinach, cabbage, and beetroot. A new garden at the front gate welcomes visitors and proclaims that we are proud of what God entrusts to us. Continued upkeep on existing facilities shows gratitude for what we’ve been given. The Wendy House has been re-plastered and re-painted inside in cheery yellow, blue, and green. It’s a little bit like being inside a rainbow! 'Me Teresia teaches the preschool group in a freshly painted Wendy House. So as I push Flower in the swing and listen to her squeals of delight, I am full of joy. She has a future here. Pulane Children’s Centre has an excellent future under the capable management of our local Basotho staff. We are flourishing. Over the past several months, we had a few long-time PCC friends come to volunteer. Our maintenance guys are still catching their breath after assisting Ntate John and Tristan with upgrading and installing electricity to the buildings at the “top” section of PCC. Thank you for your skills and labor! We’d like to thank two visitors from Portugal, ‘Me Hannah and ‘Me Marina for all of the time they spent loving on our kids and staff during their visit. And last, but not least, our faithful friends from Port Shepstone! Thank you for serving our kids with special meals, and reaching out into our local communities with the love of Christ.